The government has finally woken up and changed the law to allow people to make digital copies of their copyrighted CD eBook and movie collections without fear of reprimand. Sure, people have been burning CDs for years and the police haven't come a knocking, but at least this practice is now completely guilt free. 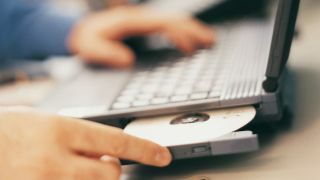 The inclusion of movies being allowed to be copied onto a digital format should have been a boon for many who want their vast DVD libraries converted into a form which can easily be transferred between PC, laptop, tablet and smartphone. However, it's still illegal to remove the 'TPM' (technical protection method), so the biggest barrier remains in place for most consumers. Of course all this activity is strictly for personal consumption only, as soon as you start sharing any of your newly created files with anyone else the long arm of the law will be poking you on the shoulder. And it's okay to store your copies in the cloud as well, with the government ignoring suggestions from rights holders that anything online is ripe for piracy. If you feel especially hard done to that your movie and TV content is still almost impossible to legally take from a disc and on to your tablet you are allowed to complain to the Secretary of State. But according to the Giovernment's document they can simply point you in the direction of somewhere were you can BUY a digital copy.